Iran, commonly also known as Persia, remains to be an enigma for most people. Some are put off by a recent history of war and conflict and the impression that the country is not safe for travelers. But it isn’t. 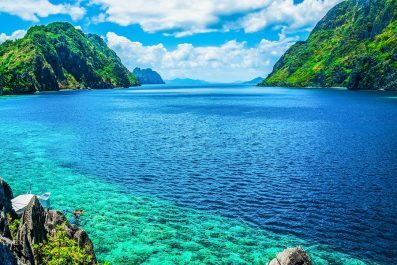 Our one week suggested itinerary is designed to show you the best the country has to offer and what are the things you can accomplish. Depending on your interests and travel priorities, you can certainly mix and match destinations, activities, and attractions to create your own itinerary. Language – The official language of Iran is Persian. There are also a number of other languages and dialects spoken in the country like Azerbaijani, Arabic, Mazandarani, Kurdish and Luri. If you are traveling independently, it is recommended to learn some Persian phrases and words. If you are joining a tour group, then you can absolutely get by without learning Persian. Like other countries in the world, speaking at least some Persian phrases or attempting to learn is greatly appreciated by the locals. Currency exchange – The official Iranian unit of currency is the Iranian Rial (IRR). 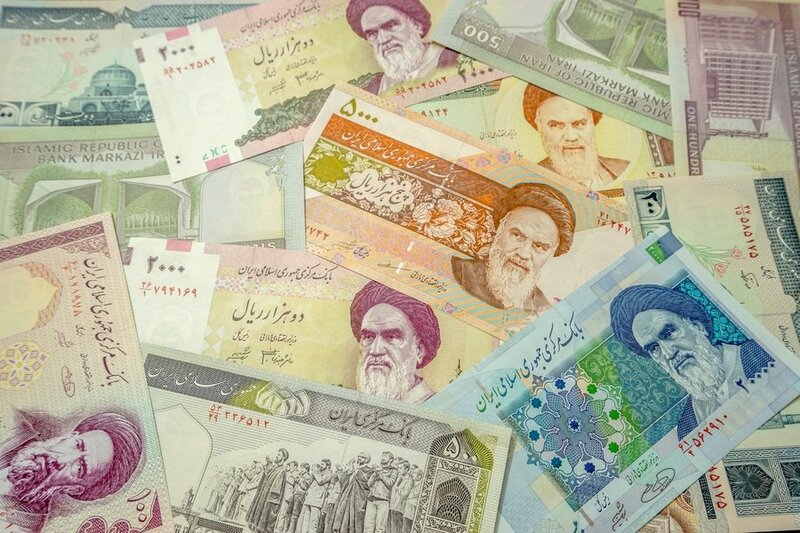 Exchanging money in Iran is easy and follows the same standard to elsewhere in the Middle East. Please note, cash remains king in the country. Unfortunately, international credit cards cannot be used in Iran. You can, however, apply for a tourist credit card thru an accredited travel agency in Iran. You also cannot get local currency using the ATMs because Iranian banking system is not integrated with international banking. 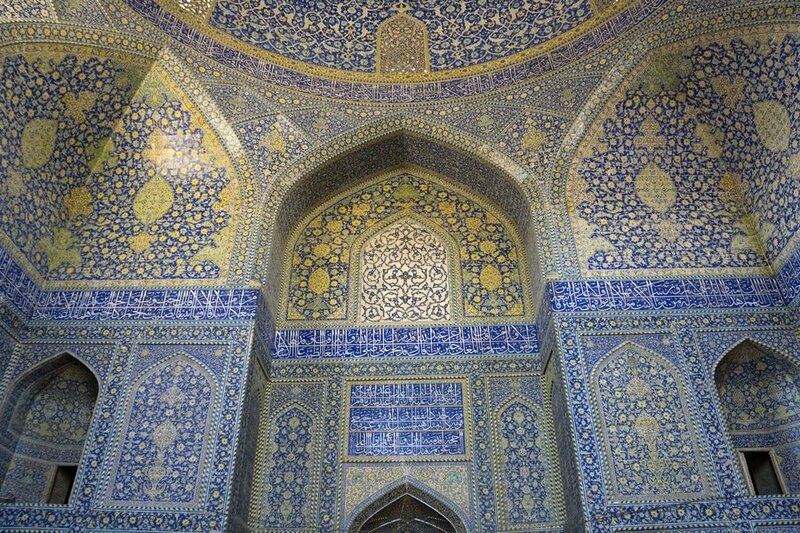 Tours – One of the most frequently asked questions from first time travelers is, “Can I travel independently in Iran as an American citizen (UK or Canada)? Unfortunately, American Citizens are not allowed to travel to Iran due to the recent executive order from the US President. Citizens from Iran, along with other majority-Muslim countries are not permitted to enter the US. As a result, the Iranian Government implemented the principle of reciprocity. We hope that this will change in the near future. UK and Canada citizens are not allowed to travel independently. Joining a group or private tour is required. There are plenty of tour operators to choose from so it is advisable to do your research on where to book. For other nationalities, independent travel without any guide is allowed. 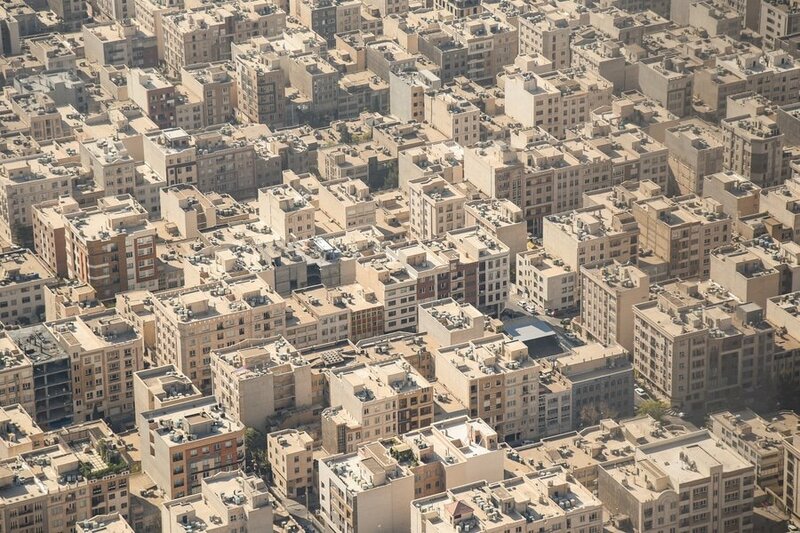 Safety and security – There is currently no nationwide security advisory in effect for Iran. Check your country’s travel advisory website to get the most up-to-date information for your personal safety abroad. Avoid non-essential travel to all areas within 20 kilometers of the Afghanistan and Iraqi borders. Remain vigilant because petty crimes like pick pocketing and theft do occur especially in Tehran. Clothing – Iran is an Islamic country so it’s important to remember some do’s and dont’s to avoid offending the locals. There’s no need for a foreigner to feel obligated to dress Chador, a full-body cloth worn by Muslim women. For women, jeans partnered with T-shirts or blouse are acceptable. Hijab or loose scarf are also required to cover the head and hair. For men, loose cotton shirts, T-shirts, pants and trousers are okay. Social etiquette – For centuries since the ancient Silk Road, Iranians are very accustomed to visitors. Wherever you go, you will be greeted by hellos. Iranians will always show hospitality and you will be surprised that a lot of them will offer home-stays or tea. 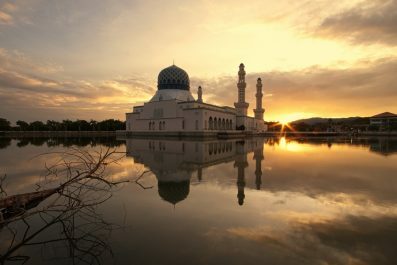 You can greet people with “salaam alaykum“, or simply “salaam” (peace). 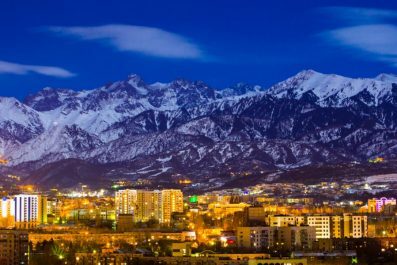 Depending on your time of arrival, you can either take it easy and soak up the atmosphere in Tehran or you can begin your tour of its famous attractions. After your arrival at Tehran Imam Khomeini International Airport (IKA), check into your preferred hotel/guest house. The airport is conveniently located within 30 miles southwest of downtown Tehran. Travel time to downtwon Tehran is between 45 and 90 minutes depending on traffic situation. As of January 2017 there are no buses between the airport and Tehran. Taxi ride costs a fixed rate of 750 000 Rial (23 USD) but you can book a taxi with the app “Snapp”, which is the Uber for Tehran (usually a little bit cheaper than taxi). Rest and settle in before you start the tour. Assuming you arrived in the morning, you will probably arrive at your accommodation just before lunch time. Don’t get out of Tehran like most tourists do because the capital boast a few wonderful attractions. Your first destination is The National Jewelry Treasury, a historic attraction which houses one of the largest collection of treasures in the world. You will be amazed with the jewelries once worn by the Persian royal dynasties and one of the largest uncut pink diamond in the world. 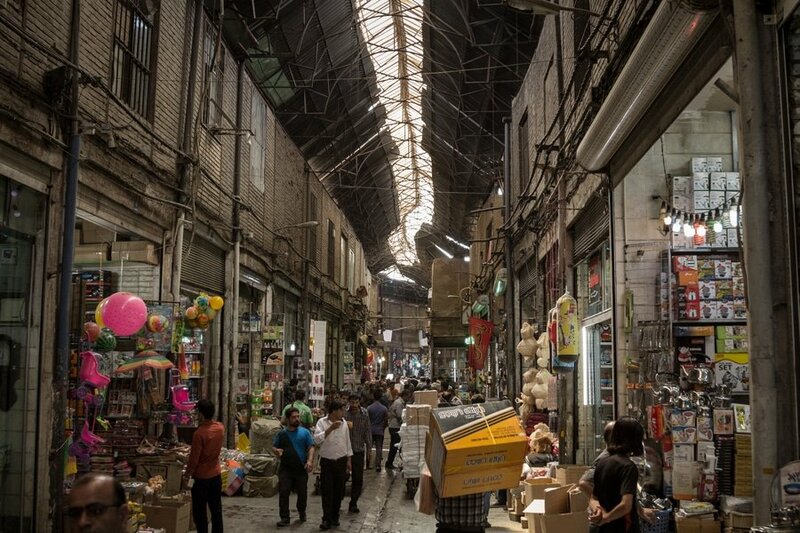 Spend the rest of the day at the Tehran Grand Bazaar, one of the largest markets in the world. You can find almost everything inside its covered market, from Jewelry, silk, ceramic dish ware, pottery, traditional Iranian clothing. Don’t forget to haggle to get the best bang for your buck. Aside from shopping, Grand Bazaar is also a food destination. You can explore its back alleys and interior courtyards to find restaurants frequented by locals. 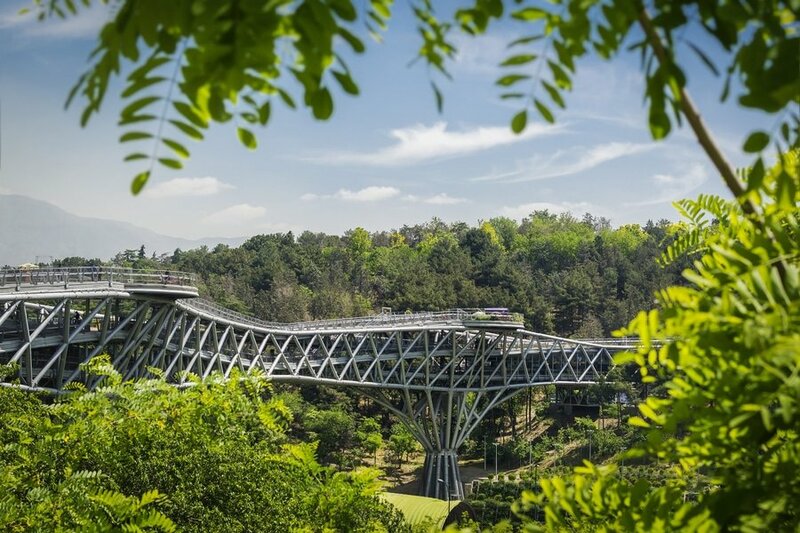 End the day at Tabiat Bridge, a futuristic pedestrian overpass designed by Iranian architect Leila Araghia. Today you’re up early to catch a domestic from Tehran to Shiraz. Flight time is approximately 2 hours. Check into a hotel near the holy Quran gate so that you will have better and easy access to most major tourist attractions. 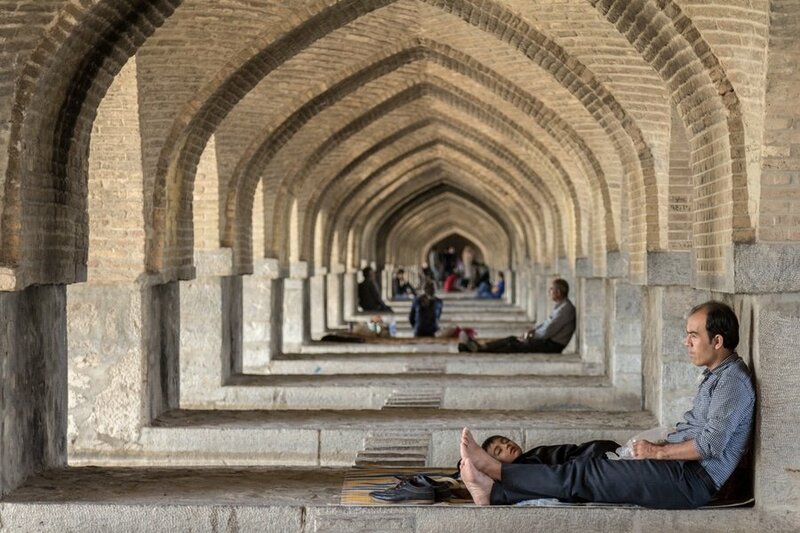 Rest a little before you explore the former capital of Iran and one of the world’s most beautiful cities. Shiraz was the capital city built by Cyrus the Great, the founder of Achaemenid Empire. It was also the final resting place of great Persian poets Hafez and Saadi Shirazi. On your first day, a visit to Nasir al-Mulk Mosque will be a great start. This is a relevant and educational stop to create basic understanding of Persian history and culture. Here, you will see a multitude of stained-glass windows and gorgeously painted halls and niches. Next is Aramgah-e Shah-e Cheragh, a funerary monument dedicated to brothers Ahmad and Muhammad. No trip to Shiraz would be complete without visiting the Tomb of Hafez. Hafez is a 14th century Persian poet known for his mystical poetry. Almost every Iranian has a collection of his works and can recite a few of his quotes. 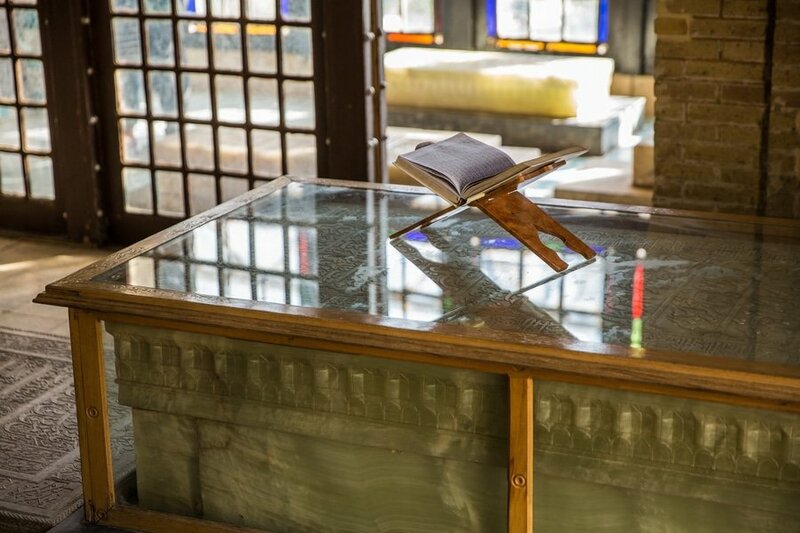 Next is the Tomb of Saadi, the final resting place of Saadi Shirazi, another famous Persian poet. In the afternoon, make your way to Arg of Karim Khan, an old military stronghold in downtown Shiraz. 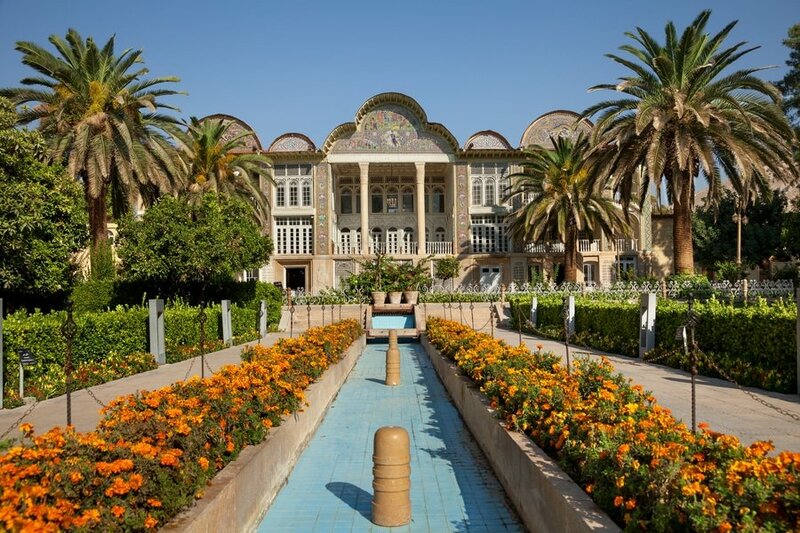 You may also visit Eram Garden (Baq e Eram), an old Persian garden, and Vakil Mosque, a beautiful mosque built by Karim Khan in mid-18th century. After a whole day of adventure, go to Vakil Bath for a relaxing bath experience. 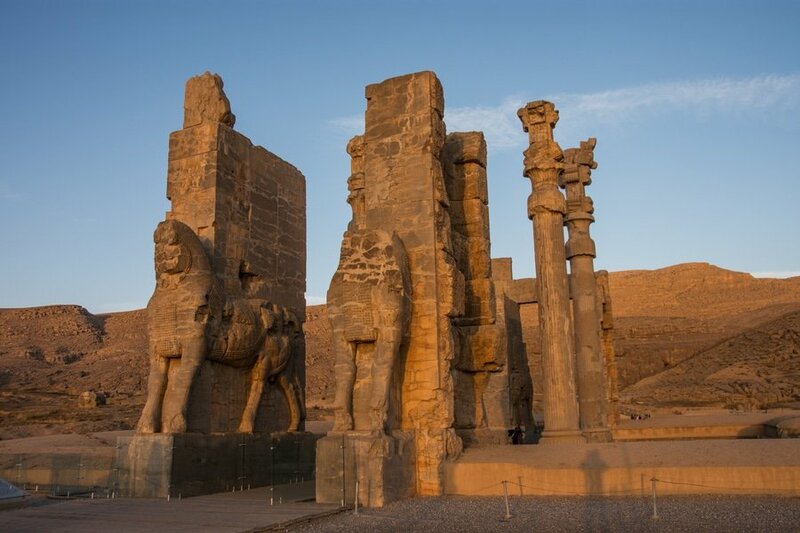 On your fourth day, you can either rent a car or join a tour to Persepolis, a UNESCO World Heritage Site. Known as the capital of the Achaemenid Empire founded by Darius the Great, Persepolis is one of the world’s greatest archaeological site. Here, you can marvel at the magnificent ruins of ancient Persia and you can get an insight of the Persian culture. Back to Shiraz in the afternoon, prepare for a short domestic flight to Isfahan, where you will be staying for two days. 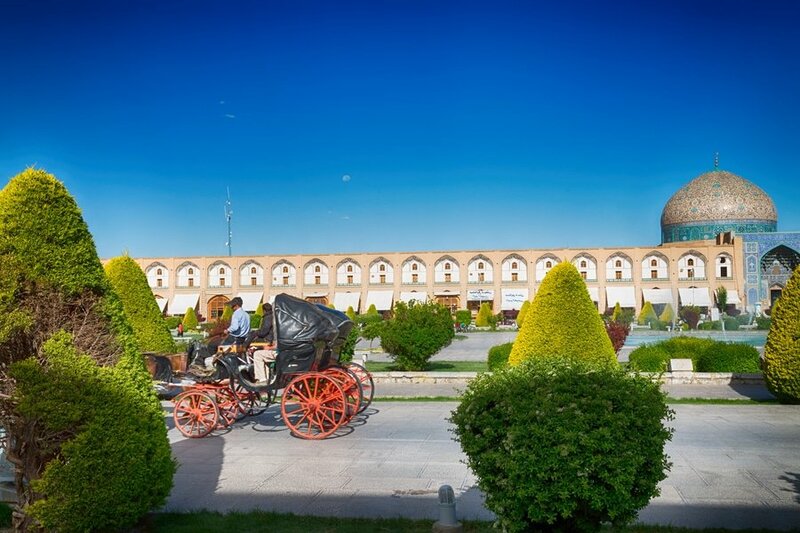 There is no better way to get to know the city than spending a few hours at Naqsh-e-Jahan Square, also known as Imam Square. Constructed in the 16th century, Imam Square was declared a UNESCO World Heritage Site in 1979. 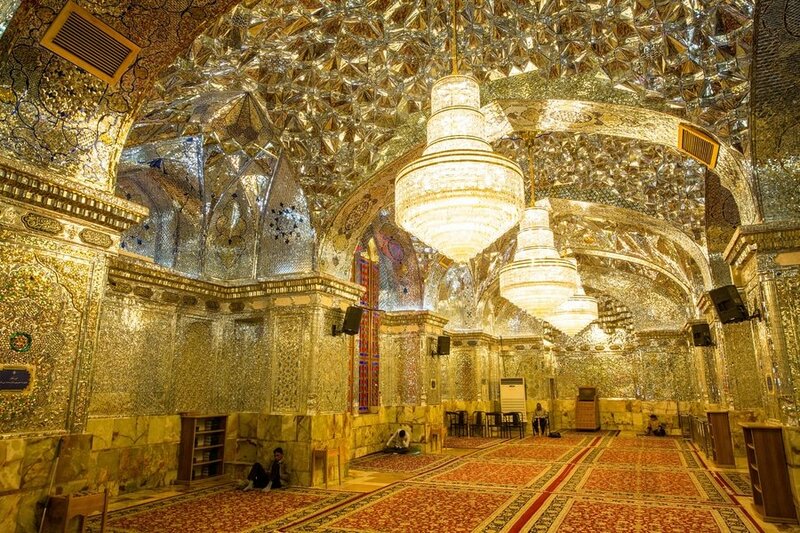 Here, you can also visit the Imam Mosque (Royal Mosque), Aliqapu Palace and Sheikh Lotfollah Mosque (Ladies Mosque). In the afternoon, visit Isfahan Music Museum, one of the most famous tourist attractions in the city. This museum showcases more than 300 traditional Iranian instruments. Another must visit in the city is Khaju Bridge, the most iconic bridge in Iran. For your final day in Isfahan, get a one last whirl through the city to take in any mosques or other attractions that you might have missed. Visit the Jameh Mosque of Isfahan, Siosepol Bridge, Vank Cathedral and Ali Qapu Palace. Then, travel back to Tehran from Isfahan in the late afternoon. Journey is approximately 1 hour by plane. Check in at one of the hotels in the city and head out for dinner at one of the many excellent restaurants in Tehran. Savor your last morning in Tehran with a relaxed breakfast in your room or at a nearby restaurant. Taking into consideration that you most likely stayed out rather late the other night, you can start the day at around 10 to 11 in the morning. You can dedicate this day wandering around the streets of Old Tehran. Head to the airport in time to check in for your international flight home, continue traveling independently, or extend your stay in Iran. The decision is all yours! This is the end of our 1 week suggested itinerary. Remember, this is just a guide for planning and is in no way, shape or form, the only way to travel the country. There are several alternative routes of travel within the country and it will depend on your intended length of stay. Enjoy Iran! Have you been to Iran? Do you have any tips or suggestions to share? If so, you can leave your comments below. The architecture of that Tabiat bridge is stunning! Would love to see it up close. Yes my friend It really nice. And I have seen another unique homes too. This homes have made inside of stone. Those are very especiall. Name of homes has made inside stone is Kandovan in Tabriz.